The TD for Dublin South Central who has campaigned for years and was jailed for two weeks with other activists in the anti-bin charges campaign said that this monopoly was the bitter fruit of flawed policy which has led to waste companies behaving like mafia organisations. She pointed out that these companies have also very suspect practices regarding tax, profit shifting and workers’ rights. 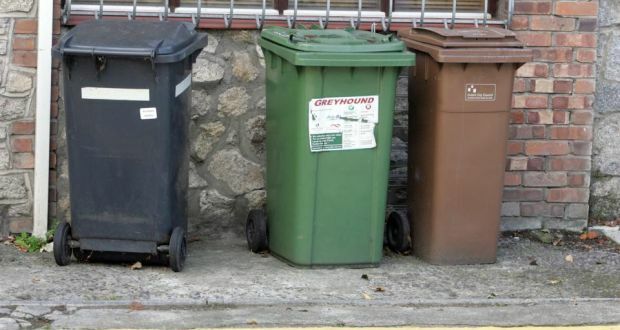 The TD stated that an industry that is profit driven cannot deliver an efficient and environmentally sustainable waste collection service and it must be the state that provides this service. She said: “Many years after the bin charges campaign we can see that this report vindicates what we were saying at the time- that this industry is being run like the mafia in many ways. Prices have risen, charges for green bins have started and waivers for those unable to afford the service are long gone. “These companies cooperate, not compete with one another in order to maximise their own profits. At the end of the day, we can see that people, communities and the environment suffer. Prices go up and up and up which leads to people paying more for an inferior service and which leads to illegal dumping because people simply cannot afford the extortionate prices these cowboy companies are charging. They have also very dodgy practice regarding tax, profit shifting and workers’ rights. The state should not be dealing with these kind of companies. Deputy Smith will look to raise this matter with Minister Naughton next week in the Dáil.